We are so excited to have participated in the amazing Handmade Holiday series! 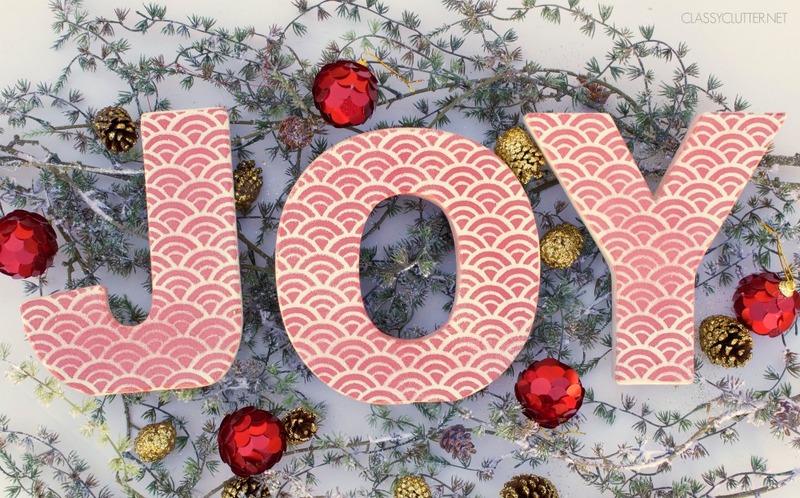 Today we’re sharing a super cute and simple craft that anyone can make to spruce up their holiday decor that we shared on 30 Days Blog. With the holidays quickly approaching we decking the halls all over the place. On one of our craft shopping sprees, we found these cute letters while we were are Michaels. We decided it would be super cute to get J, O, & Y for JOY and embellish them in our current favorite pattern, scallops. 8″ Canvas covered wooden letters – J, O and Y. Start by prepping your surface. The spray was a bit messy so I did this right inside my bathtub. This way, I could easily wash off the stencil and rinse spray ink right down the drain. It made for easy clean up. If that’s not an option, lay down some newspaper or old wrapping paper to protect your work surface. 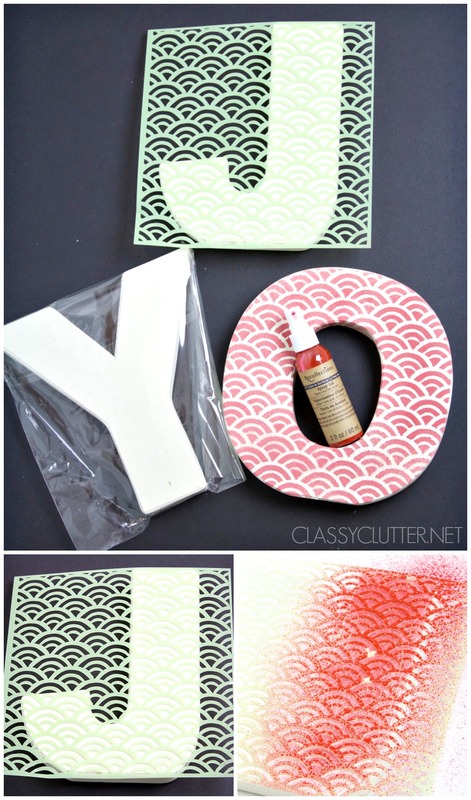 Simply place the stencil over your letter and lightly spritz the Simply Pastel Spray ink onto your letters. Make sure that you spray the letters with enough ink or it will look spotty. After each letter, rinse the stencil and then dry it off with a towel. Each letter took about 2 minutes and the ink dried pretty quickly on the canvas letters. Isn’t that so fun!? 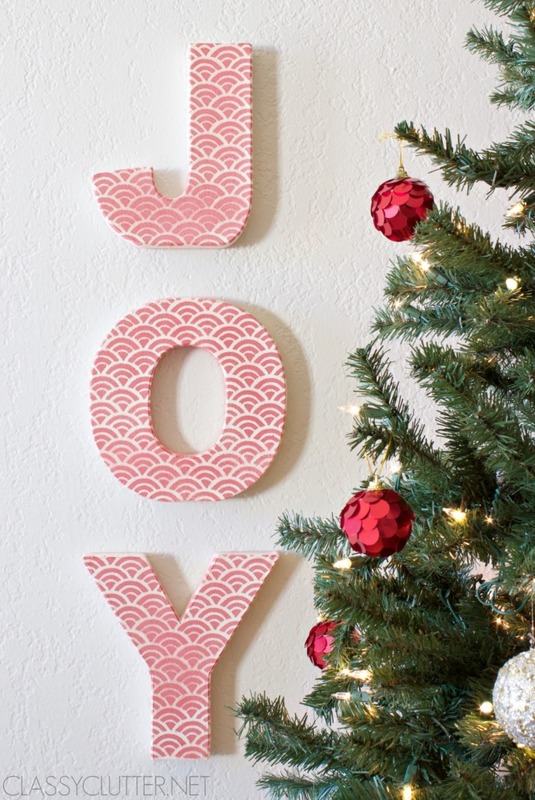 This entire project can easily be done in under 30 minutes and will brighten your holiday decor! 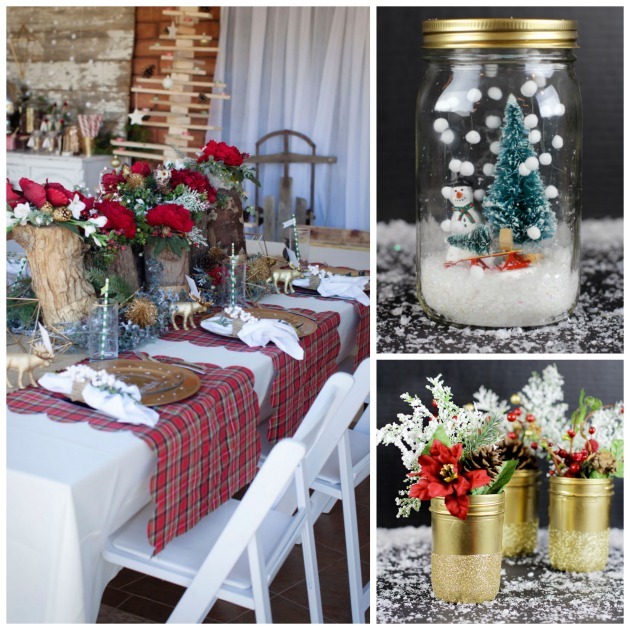 Don’t forget to check out some of our other holiday projects in case you missed them!